After the absence of an Oceanic team at the previous Insomnia event, OZF 15 Premier victors Jasmine Tea have decided to fill the hole left by Team Immunity of days gone past, to show the world that the Aussies can still compete with the best that North America & Europe has to offer. The premiers, who have been going strong since late 2014, winning 3 ozfortress tiles along with a handful of off-season cups, came into the most recent season as strong favourites, and despite having a major roster shuffle in the finals, still came out as victors over ego, a team filled with previous i-series talent. Their dominance in the Australian & New Zealand scene is a shining exemplar of the team’s stable core: Geoh, Madness, Zaka & Paulsen, who exhibit a tight-knit cohesive playstyle, backed up by rock-solid deathmatch skills. The team is rounded out by 2 fresh faces who have recently exploded into the upper echelon of the scene. Dave, who proved himself to be one of ozfortress’ best medics in only his first season of Premier, has come into replace their previous medic Brutalix. Rounding out the team is Yui, a dominant flank scout with incredibly prominent off-classing potential. He'll be taking the place of previous starter Elmo, who couldn’t commit to an i-series appearance due to personal commitments. Each member of the new roster has taken away best in class awards for their respective roles, and are definitely not a threat to be taken lightly by their competitors. It’s been a long time coming but we are so excited to finally confirm that we are intending to go to i58! After Brutalix quit just before the end of the ozfortress Season 15 and learning of Elmo’s inability to attend the event, we were unsure about the future of the team. However, Dave proved to be an invaluable addition to the team and arguably made us perform even better for the remainder of the season. After winning the grand final and confirming that we had the best sniper (and osu! main) in Australia, Yui, on board to replace Elmo, any other doubts we had about attending i58 were abolished. Unfortunately, flying 6 players halfway around the world has a substantial financial cost which makes funding the trip solely by ourselves considerably difficult. All 6 of us will be contributing a significant portion of the trip’s costs but we are also reluctantly hoping the community might once again repeat the well-established generosity it has shown over the years and fundraise the remainder of the expenses. While taking the world title is a huge goal of ours, our main ambition is to provide the community with unforgettable TF2 to watch and to help our game grow into something that it should have been years ago. Because of this, we have every intention of representing the Australian/New Zealand communities to the best of our ability and aim to recapture the awesome spectacle of having the three largest communities on the planet compete on the biggest stage in competitive TF2 once again. Leading up to the event, Jasmine Tea are currently planning to hold a number of showmatches against international top teams from each scene, appearing for a Q&A panel & potentially even more; so be sure to watch this space. The more we get involved, the sooner we hear. With such a small staff, these articles seem redundant. But it's a good catch up and legitimizes any potential rumors. If anyone is interested in donating, I’ve made a formal post about the fundraiser (which can be found here) explaining the nuances of the endeavour. 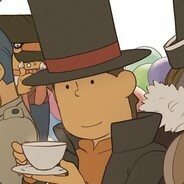 If anyone is interested in donating, I’ve made a formal post about the fundraiser (which can be found [url=http://www.teamfortress.tv/34210/official-jasmine-tea-i58-fundraiser]here[/url]) explaining the nuances of the endeavour. do0m you heading to i58 with ronin? This shouldn't be the same going forward! The AU squad has just recently got a new writer (hooray fozzlm) and all this stuff went down right in the awkward middle phase of the transition. Why isn't there a link for the Indigogo campaign in the thread? Why isn't there a link for the [url=https://www.indiegogo.com/projects/help-an-australian-team-fortress-2-team-go-to-i58#/]Indigogo campaign [/url]in the thread? WafuWhy isn't there a link for the Indigogo campaign in the thread? Thanks. I returned to the forums after a few weeks of abstaining now that I am more knowledgeable (and have stopped letting my brother use my account). pendado0m you heading to i58 with ronin? Breaking news: Rando cucked Nursey and Nursey was cut 2 days before i58. do0m leaves UGC Iron HL team "Duck Noises" to take the place of medic, even though he mains phlog pyro. I'd love to see him try.